Oops, we mean Friday. Close enough? 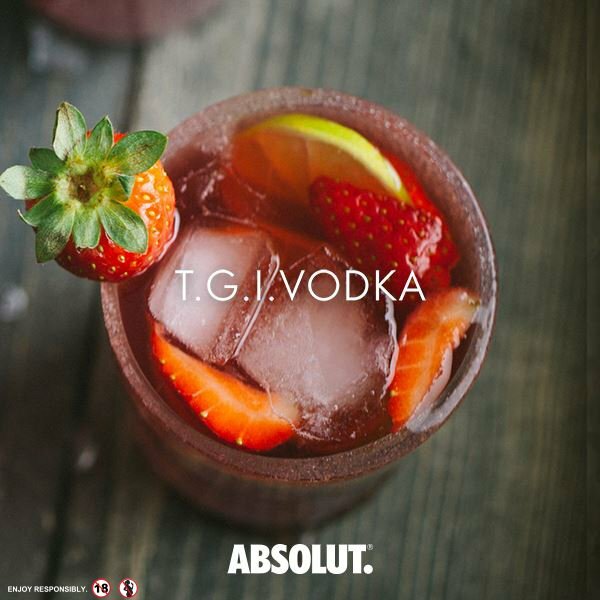 Absolut 40% alcohol a Group One Carcinogenic Drug.